I found myself sort of squatting in Focalpoint in The Oval. Brian’s dye transfer studio. Using his equipment to print for my own clients and his. At that time he was looking to sell off all his Cibrachrome processing equipment and enlargers, alongside the rest of the paraphernalia, and he was busy with his dye transfers, so it was a perfect arrangement. The artisan production of the dye transfers intrigued me, the Rolls Royce of the colour print. Cibachrome seemed so amateur.. I delivered some prints to Terence one day, helmet, box and bungee’s and sat down opposite at his big desk. He always told me that riding a bike in town would give me spots, and perhaps I shouldn’t ride a bike.. He was always an inquisitive man, I always remember how huge and daunting he was, and kinda scary but in a very unique and comforting way.. a very ‘London’ way, he had a great presence. And I sat there explaining my present working environment. He just listened, always very still, it was very easy to talk.. his elbows on the desk and his finger tips touching the others in that pyramid shape he always made leaning back in his chair, his head never seemed to move. Then suddenly he barked at his secretary outside the door to get his bank manager on the line. I wish I could remember her name.. she always reminded me of moneypenny, in the way they worked together.. And without saying anything to me in reflection of what I had been talking about made the decision to set me up a meeting with his bank manager. Explaining that this biker would turn up ‘his’ bloody good colour printer, who wanted to set up on his own. And basically in that moment he set me up, and set up Matchless Prints. I was soon in Finsbury Square sat in a burgundy leather arm chair on a creaking wooden floored very posh office.. Within an hour the bank manager gave me the overdraft required to take on the 2500 square foot space in Clerkenwell, and back the not insignificant lease for all the equipment I needed to buy…a very different age. 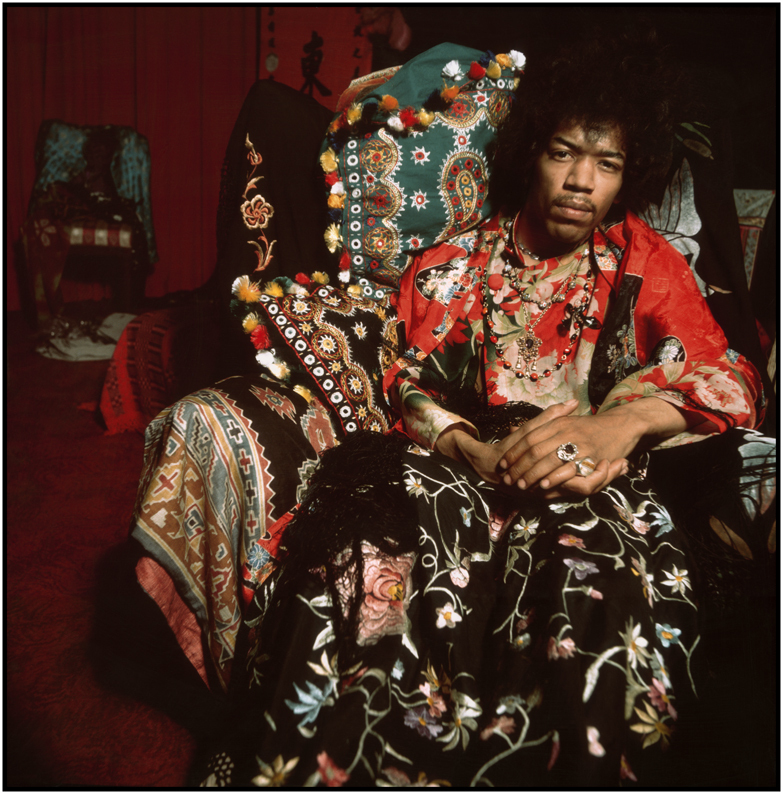 The portrait was a gift, I had to print it for myself of course, the gift in choosing the frame I liked of a very personal portrait of Hendrix that he took in his London flat where he stayed when in London, a stone throw from Terence’s studio in central London. And it has traveled with me wherever I have lived and worked thereafter. And now at the top of my small staircase in my little cottage in Numana. And in all the time before and all the years I printed for him thereafter, not once did he ask for a discount, nor use his fame and standing in the photographic world, always wanting his invoice. This quote befits the memory of Terence Donovan, who I owe everything to. from ‘the man who planted trees’.